Bringing you the latest internal project news from our clients and the wider time-lapse community. Originally considered only for outdoor construction projects, time-lapse is more popular than ever for shop fit-outs, art creation and special events. Retail work is incredibly varied but as a professional time-lapse provider, we offer solutions that can document all manner of developments. How do you use time-lapse photography? In this blog post we provide answers to the how, what and why in relation to the extraordinary medium of time-lapse photography. DIY projects are somewhat of a trend – and so are the time-lapse videos documenting their craft. We feature some incredible examples. The inside story of a build – whether concerning a retail environment or a temporary space for a special event – is just as fascinating a time-lapse narrative as the external construction. As a follow-up to one of our previous features considering time-lapse of ‘big’ projects, we now turn to work that is smaller in size and duration – but of no less significance to capture. Office builds are a popular subject for time-lapse photography. We consider the benefits of using this method when capturing the various phases involved in the construction of office developments. 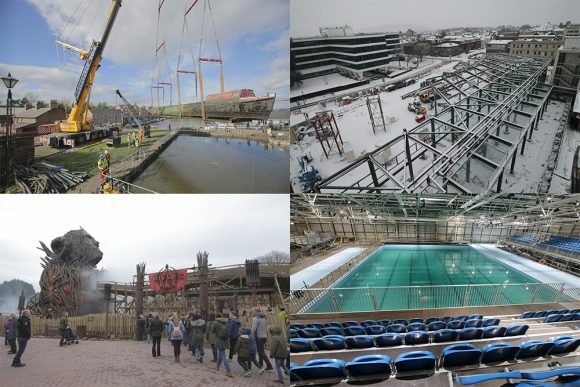 Whether long-term or short-term in duration – capturing happenings in major venues to the construction of temporary structures, stands & stadia – time-lapse photography is the perfect medium for effective event management. In this blog we consider the important role of time-lapse in preserving changes over time, specifically changes to historic sites and iconic structures.